How can we use virtual and augmented reality to change how we perceive things? In all likelihood, you will have come across the now famous internet phenomena concerning the black and blue dress, which for many people, appeared to be white and gold. Since then, various other clips have emerged ranging from pictures to soundbites, in which what is perceived as objective reality varies drastically from person to person. Augmented reality may well heighten these perceptual differences even further. Not only will it change the way we see the world, it will allow us to interact with information and combined knowledge in ways which were previously unimaginable. We will be able to read each other’s pulses to determine if someone is lying to us. If you are trying to buy a product, why not analyse the brain activity or pupil dilation of the person selling to you to determine how truthful they are being when answering your questions. In the animal kingdom, we see this differing perceptual ability more vividly. Many different animals, from snakes to fish, can see or sense things that other animals cannot, which gives them an advantage. When some humans have the same sorts of abilities, when one person can see threats that another cannot, thanks to technology, then there will certainly be ethical questions which need answering. What is objectively real may not be what everyone sees, and what everyone sees can differ wildly. Augmented reality has the potential to open humanity up to the possibility of an even great and deeper level of perception than we ever thought possible, and it doesn’t seem to unrealistic to suppose that this could occur in the near future. How museums and VR can be a match made in heaven. Technology has, for a long time, been used to give context to the exhibits in museums, whether it be a video or sound bite. Virtual and augmented reality could be the next generation of that, especially in a time when many cultural institutions are looking to stay on-trend, technologically speaking. And the technology is becoming cheaper. In a time not too long ago, the idea of even having a few headsets would have been prohibitively expensive. Now however, with prices going down, we shouldn’t be surprised to see more and more places making the investment. Guests will be invited to explore the exhibits, both physical and digital, in a whole new way. VR changes how we interact with data, so it is not surprise that this is how museums will likely implement it. But in a bid to ensure future relevancy there are other options as well. Some experiments have involved using VR to return broken artefacts to their former glory. With a headset, guests could not only enjoy what is currently in the museum, but damaged pieces which previously would have been unavailable for enjoyment. Or alternatively, one option is to flesh out skeletons of long-gone civilisations using augmented reality headsets, giving users a more in depth and less abstract experience of what ancient life may have been like. Holographic tours with figures of historical importance, past and present, are another distinct probability. Producers of mixed reality capture technology expected it to be taken up mainly by the entertainment sector, rathe than cultural institutions. But it makes sense, if you are exploring ancient history, to have a guide from ancient history giving the tour. 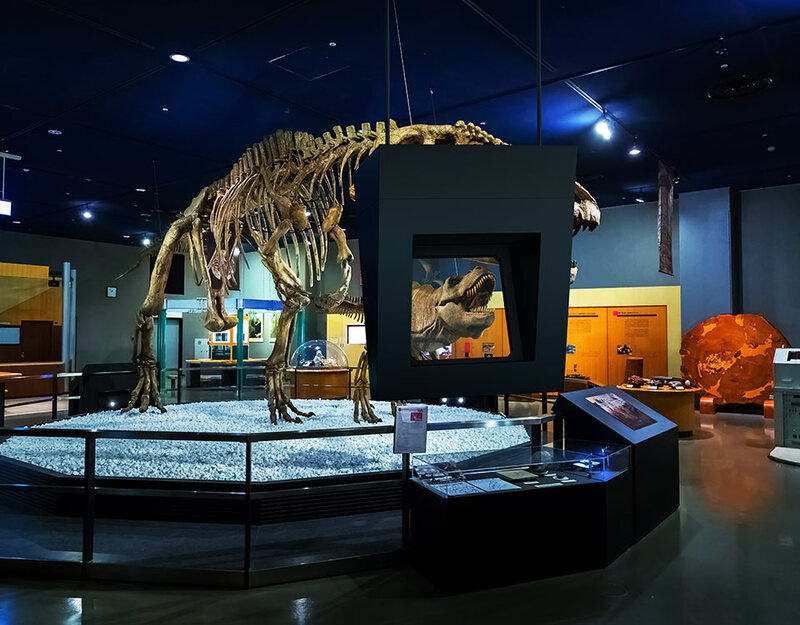 Mixed reality gives a museum the ability to extend the exhibit beyond the physical limitations of the building it is housed in, in a far richer and more immersive way than simply by showing a video. Now this isn’t to say that museums can forgo physical exhibits entirely. Mixed reality works as a way of giving context to those physical objects context and enhancing the immersion of the experience. But it will never be able to replace the thrill of looking at a real object or artwork which has survived the passage of time. Nothing is as effective a window to the past. Augmented and virtual reality must work in tandem with tradition, rather than against it. Can VR become a political tool? Most entertainment mediums often find themselves implemented in ways the creators did not foresee. Social media is almost always used during political campaigns to spread different messages. This may not have been what they were designed for, but it is what they are particularly good at. Now virtual reality has many different potential applications, but up until now, they have remained fairly apolitical. But this may not necessarily remain so. The beauty of VR is that it allows you to live another life. You get to experience something that doesn’t exist in the real world, or you get to do something that doesn’t correspond to how you live day to day. This ability would allow users to not only live fantasy lives, but real ones too. Developing empathy for someone else by living a day in their shoes would be one of the best ways to compel someone to think what you want them to think. Now, the political uses become clear. Convincing people to change their minds is difficult, but by giving them a way to see through someone else’s eyes, it becomes easier. Wherever one finds themselves on the political spectrum, being able to convince others that your way is the right way is a vital tool for any campaign. The problem is that VR is famous for allowing us to immerse ourselves in worlds that aren’t real. So this means that people one other side of the political spectrum could concoct a fantasy world for users to immerse themselves in. This way, they would be able to convince us that their version of things is the truth, when in fact it may not be. VR is powerful, and its ability to create stories is perhaps unparalleled. When used to create obviously fictional scenarios, it is undoubtedly effective. But when the lines between fact and fiction become blurred, the potential application for VR becomes a little more troublesome. Are we Sims or like Neo in the Matrix? The concept of a simulation has been around for a long time. Using computers, we have been able to predict how certain series of events may play out, using simulations, which has the benefit of being pretty much risk free in the real world, at worst, they waste a bit of power. When you consider the developments in VR and AR, is it impossible to believe that one day both VR and AR – combined with haptics – will become indistinguishable from reality? If so, then statistically it is likely that this has in fact already happened, and we are indeed living within it. Whether Musk is right or not, we would probably never know, what is more interesting, we believe, is what sort of simulation is the most likely? Bostrom proposes something he calls an “ancestor simulation” which involves our descendants using their super powerful computers to simulate consciousness within a machine. From there, they would simulate humanity’s history, complete with their ancestors, all of who would be fully conscious beings, but would exist in a computer like in The Sims video game, rather than a brain. The other kind of simulation is more like what we see in the movie The Matrix, where we are plugged into something that makes us think we are living a certain life, with certain memories. Our own consciousness would be saved on a back-up, ready to be re-installed at a moment’s notice. Put simply, it is a controlled hallucination, where we think we are someone else, and have all their memories instead of our own. Both of these ideas have their positives and negatives. To create an ancestor simulation requires that we be able to create consciousness in a machine. Philosophy of the mind has a huge body of literature, but what is clear is that people disagree as to whether consciousness can exist outside a human brain or not. A neural simulation doesn’t have this problem. But, it is a lot harder to successfully manipulate consciousness to the sufficient degree that one might think. But if Musk is right, then despite it being featured in a blockbuster movie, we think it is the most likely. For more information about this, and in order to make up your own mind about which option is more likely, we thoroughly recommend you seek out the work of the two philosophers we have discussed. The Simulation Hypothesis by Nick Bostrom is available free online, and Barry Dainton’s On Singularities and Simulations was published in the Journal of Consciousness Studies in 2012.